Blackout blinds are today's home interior fashion and are an ideal solution for those wanting to eliminate light when complete darkness is needed. 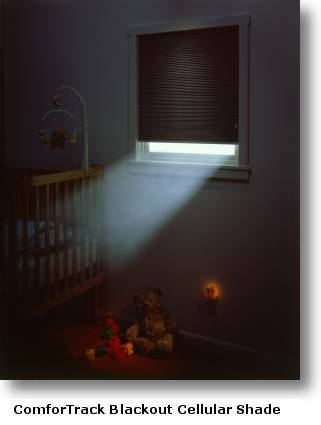 Nets2Go Blackout blinds are designed to coordinate with any room décor and as the title suggests, these blinds will provide optimum light control by blocking the daylight from outside. The Pure range is made from a fire retardant fabric and meets British Standard 5867. Suitable for all private homes, they prevent light from shining through and are absolutely perfect for bedrooms. They are also ideal for hotel bedrooms, offices and conference rooms, schools, laboratories and audio visual set ups, or wherever light exclusion is required. Additionally some of the outside heat and noises can be reduced by using this type of blind. When manufacturing the made-to-measure blackout blinds for you, we offer a choice of left or right hand control, they are made of high quality fabrics that keep light out as well as offering you complete privacy and are extremely simple to fit whether on the inside or outside of your window recess. How to pick the perfect treatments for your windows and get some inspiration for your rooms? You could add a combination of a valance of the right shade to bring out and define the personality of your room. Apart from a great selection of different colours to get that beautiful look that you desire, check out our comprehensive online catalogue to help you decide on what you want your room to look and feel like. Everyone's taste is different. Fitted alone in a window recess is all you need, but sometimes if your taste and style dictates, they can complement any window treatments and by adding a pair of traditional curtains, as extra décor to ensure effectiveness would be a good idea too, but being more daring depending on your own imagination is always fun. Chose your favourite colours from our vast range of curtains and curtain fabrics to coordinate the unique look that you favour for the best possible effects and make your own style statement. What makes a great room for you? The answer is, a little bit of imagination and creativity. Over the next couple of months or so with summer around the corner, you may be considering changing some of your rooms in favour of controlling the hot summers sunlight so you're happier with a better sleep, feel more relaxed and even, as some experts say, become healthier by getting a good night's sleep.